When Hannah Rescues Billy From a Shipwreck, She Will Change Both Their Lives Forever. Hannah Snow shouldn't be in the water, saving shipwrecked sailors. 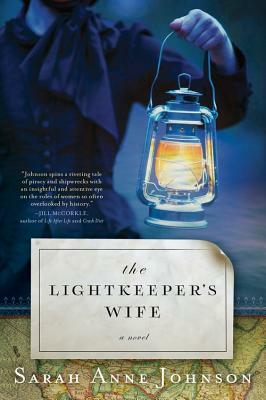 Her husband would be furious--it's his job to tend to the lighthouse at Dangerfield, to warn the ships off the rocks. Sailors know that the Dangerfield coastline is treacherous, but the waves constantly pull them down into the deep anyway. But when the ship Cynthia Rose runs aground, John is away buying supplies, and Hannah rushes out into the storm. She can only fish one sailor out of the icy water--weatherworn, half-drunk Billy. When Hannah gets word that John will not return home to her, she sinks into grief so deep that she feels she may never surface again. With Billy's help, she continues to man the lighthouse, keeping the lamps blazing even during her darkest hours. But Billy is not all that he seems. And Hannah starts to doubt whether anything she knew about this strange man--or herself--is true.